All registered participants of ICGG 2014 are invited to join us at a welcome party on Monday, August 4, 2014. The location, Mensa Uni Innsbruck SoWi-Lounge, Universitätsstraße 15 is near the conference office. The welcome party starts at 5pm, right after the registration on Monday afternoon. We offer two excursions for accompanying persons on Tuesday and Wednesday afternoon. These excursions are only available for registered accompanying persons of ICGG 2014. Brother Martin will guide you through Cistercian abbey of Stams (Stift Stams) and its collegiate church. After that Brother Martin will play the organ and you have the opportunity to taste Schnaps from the abbey's own distillery with Brother Martin. 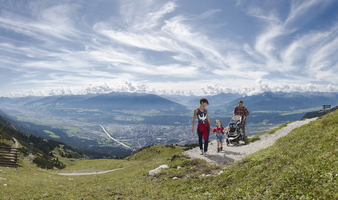 Guided tour through the city center of Innsbruck, including Innsbruck Cathedral and Hofburg. This excursion will end with a visit to the Innsbruck Branch of Cafe Sacher. Maybe you should not combine this tour with the excursion “Emperor Maximilian” on Thursday afternoon, although the emphasis of this excursion will be different. We offer several options for an excursion on the afternoon of Thursday, August 7, 2014. This rather informal excursion starts at noon, right after the morning session. 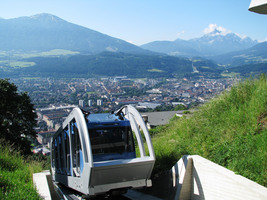 Via the Hungerburgbahn, a tourist attraction which is interesting from both, an architectural and an engineering viewpoint, we go from the city center to the Innsbruck district called Hungerburg. Walking for maybe 60 minutes uphill we reach Arzler Alm. 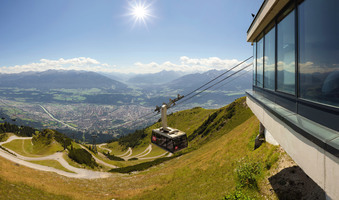 At an altitute of 1067 m above see, you can enjoy a late lunch with typical Tyrolean food. This excursion is only recommended for physically fit participants. Good cloths and shoes are necessary. 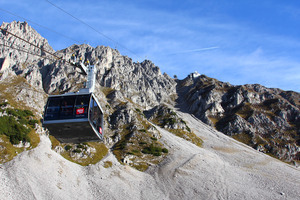 Participants of this excursion will use the Hungerburgbahn, and two further funiculars to reach Nordkette, the impressive mountain chain in the North of Innsbruck. From there it is only a few minutes walk to the mountain top of Hafelekar (2334 m). This trip offers a spectacular view but it is only recommended for participants who feel they are free from acrophobia. Even on a hot summer day, warm and wind-proof cloths are necessary. This excursion may be cancelled because of bad weather conditions. In this case, we will organize an alternative event. 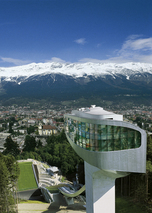 Visit Bergisel with its two famous tourist attractions: The Tirol Panorama museum featuring a 1000m2 painting of the 1809 Tyrolean Rebellion against French and Bavarian occupation and the ski jumping hill whose famous ramp was designed by star architect Zaha Hadid. Experience the frightening view of a ski jumper right before the jump or just enjoy the splendid view of Nordkette. Following this excursion with open eyes and mind can teach you important lessons about the attitude of Tyrolean natives. 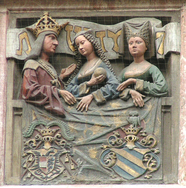 Ambras Castle is a well-preserved Renaissance castle in the hills above Innsbruck. In this excursion you will see the well-preserved interior with its rare armours and famous paintings. 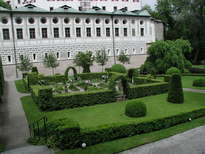 You can experience how everyday life used to be in a Renaissance castle and walk through the well-tended gardens. This classic city tour follows the traces of Emperor Maximilian in the pictorial old town of Innsbruck. 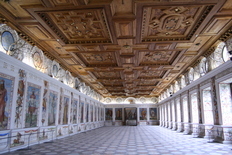 It includes the absolute must-see places in Innsbruck, the famous Golden Roof and the Hofkirche (Court Curch). All of them are in close vicinity to the conference venue and the conference hotels in the city center. 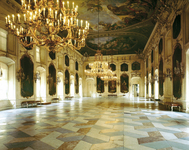 This excursion is dedicated to the life of Maria Theresa in the Hofburg (Imperial Palace) in Innsbruck and also includes a visit to Innsbruck Cathedral. While not quite as famous as imperial palace and cathedral of Vienna, both certainly belong to the most significant buildings of their style in Austria. 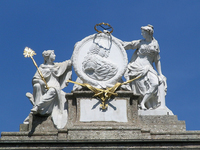 You will learn more about the important achievements of Empress Maria Theresa for Austria and the Tyrol. You can book your excursion and the excursions for your accompanying persons from your ICGG 2014 account. Login, choose “edit data” for your excursion or “accompanying persons” for the excursions of your accompanying persons. Please note that the number of participants for every excursion is limited. We recommend an early booking. Excursions are not available for student participants. The conference dinner takes place on Thursday, August 7 at 7pm at Restaurant Villa Blanka, Weiherburggasse 8. Arrival starts at 6:00pm with an aperitif, accompanied by Tyrolean music. 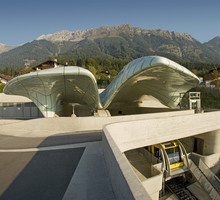 Get on at “Congress Innsbruck”, get off at “Alpenzoo” (5 minutes, departures at 5:30pm, 5:45pm, 6:00pm, 6:15pm). From there it is a 10 minutes walk. The shuttle bus will leave at 5:40pm, 6:00pm, and 6:20pm at the “excursion meeting point” near the conference venue. The Conference Dinner is not available for student participants.